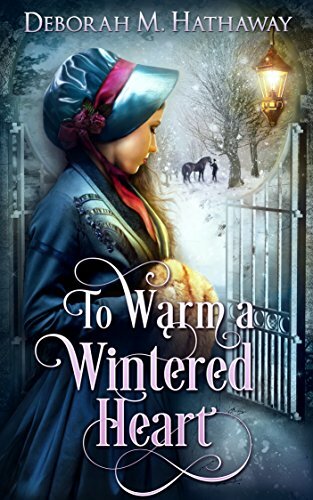 Charlotte Rosebury, a friendly and kind eligible lady of means, meets Gabriel Worthington, a grieving man who has closed off his heart to love. After the death of his elder brother and father, he cares for his matchmaking mother and their estate. He wants nothing more. His mother, of course, wants nothing more than for him to fall in love and marry. This had an interesting premise and I enjoyed the back and forth between the two characters, I just hoped for a little more growth on Gabriel's part. He is a hard character to like, and requires a lot of understanding for all the misunderstandings he causes. I enjoyed the side characters of Mrs. Worthington and Charlotte's boisterous younger sister. But the villainous side characters who live near Mr. Worthington were a little over-the-top and Gabriel did very little to protect Charlotte from them. Regardless, the romance is sweet, clean, and swoon-worthy, and the style of the writing matched the regency period well. There were no grammatical errors to detract from the pleasure of reading. Disclosure: I received an early review copy of this book.